Cineplexx International GmbH opened a second and third MX4D Theatre in under two months, this time in Serbia. Located in the country’s capital of Belgrade, Cineplexx’s second MX4D theatre boasts 100 seats configured into 25 benches. With a population of nearly 1.25M residents, the location offers a new form of entertainment not accessible in-home. “Working with Cineplexx on additional theatres only solidifies the great relationship we’ve formed,” says Jeremy Devine, VP of Marketing for MMI. 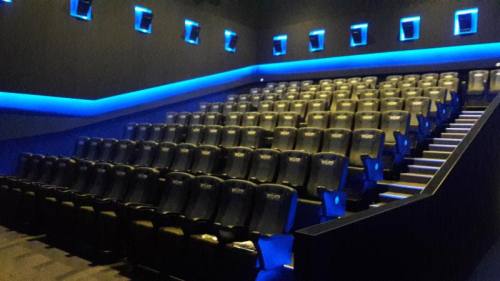 The third MX4D theatre, featuring 15 four-seat benches, is located in Vojvodina’s Novi Sad. “After the great interest generated by our Graz MX4D location, we are proud to have partnered with MediaMation on our two additional theatres. As an innovation leader, Cineplexx feels responsible for offering the best film experience to our visitors, providing ideal destination for unforgettable fun and technological experience,” stated Cineplexx CEO Christian Langhammer. The state-of-the-art seats for both instillations feature a full range of motion and effects to enhance Hollywood’s latest releases. Moving beyond standard 3D, they utilize MMI’s newly patented EFX armrest which allows for every customer to have a better uniform experience across an entire theater. Additional atmospheric effects include wind, fog, and strobes. Upcoming releases in MX4D, at select theaters, include: Universal and Peter Jackson's Mortal Engines, Sony's Spider-Man: Into the Spider-Verse, Disney's Mary Poppins Returns, Paramount's Bumblebee, and Warner Brothers' Aquaman. In addition to these Hollywood blockbusters, MX4D programs select regional and national releases in native languages. Consult the Cineplexx website for showtimes. About MediaMation, Inc.: For 27 years, MediaMation, Inc. has provided innovative technological solutions to the Cinema and Themed Entertainment market and expanded to the esports industry in 2017. 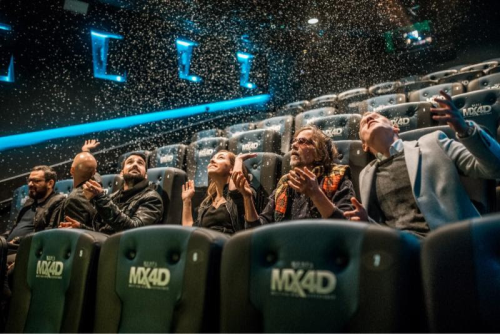 MediaMation is an interactive technology company and a worldwide, leading supplier and manufacturer of patented technology for 4D Motion EFX theaters and seats, including its MX4D Motion EFX technology, with nearly 350 installations worldwide. MediaMation also designs and implements turnkey creative solutions for complex shows, rides, exhibits, fountain shows, etc. for theme parks, zoos, aquariums, museums, cinemas and FECs.